Over the next few months we’re running a series of interviews with industry experts in VR, Video and Animation. Today we caught up with Social psychologist Dr Marina Everri. 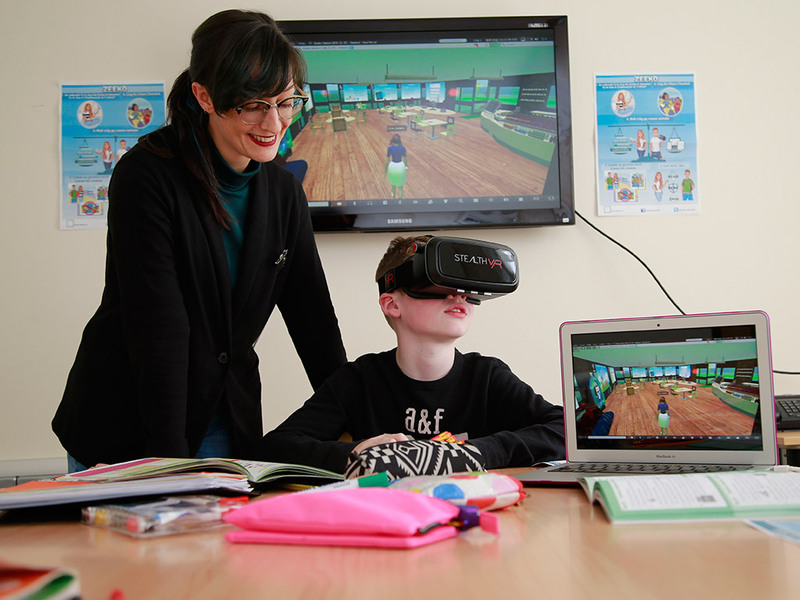 Irish education start-up Zeeko have just secured €100,000 to carry out a new virtual reality study on the effect of VR technology on children’s health. The research will be led by Dr Marina Everri who is currently in the process of relocating to Ireland, from the UK, for the project. Dr Marina Everri you’re a Social psychologist. Can you tell us a little bit about your background and your own work to date? Social psychology is a branch of psychology that’s concerned with the study of human behaviour in the social context. We study how people behave in the broader context. We explore how a person’s individual or cognitive development can be influenced by societal changes such as culture, migration or technology. I devised an innovative research method based on video recordings and high-tech micro-cameras that would record what the user was doing, they were like a third eye. Using this technology I could track the activities of young people in their everyday life, in terms of how they were using digital media. What was your own first experience with Virtual Reality? For me it’s something quite new, I came across some research that had been done about it around 4 years ago. I’ve been experimenting with it a lot, I feel before I start any research project I need to gather as much data as possible so I can and understand the topic I’m going to study. We’ve heard a lot about the potential benefits of VR. At the moment we don’t know very much about the impact of Virtual Reality on our cognitive functions and in particular that of a kids. 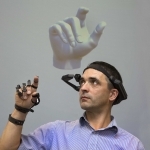 Am I right in saying this is what your virtual reality study is looking to explore? Actually it’s not generally about the effect on cognitive function. It’s more about discovering if children can learn in a better way with the support of virtual reality. Scientists have been doing research in virtual reality for more than 40 years, but it has been slow reaching the mainstream up until now because of the cost. If we spend more and more time in Virtual Reality and as it becomes less distinguishable from the real world, in years to come, is there a worry about the effect on the mind being consistently lost in that dream state. everyone is agreement that the experiences are amazing and beautiful we just need to gather more information. We could assume that if a child was physically disabled, that they might enjoy the ability to suspend gravity or walk streets… the ability to have social interactions without the prejudice or burden of their impediment… could have extraordinary benefits? There will be huge benefits for the likes of people with disabilities. I think there is also potential for children or even adults with emotional or relational problems and also the autistic spectrum or post-traumatic stress disorders. I think we need to keep in mind that it’s important that this technology needs to be supported by experts and people who can guide the way. People need to understand the impact so that we can ensure the technology is being used in a beneficial way. Have you heard Elon Musks theory that we may already be in a simulation? I try to be quite critical when I look at different kinds of theories. The most important thing is that you need to have data that can support ideas or interpretations. Once we have data, once we have a better knowledge, we can support a theoretical position. 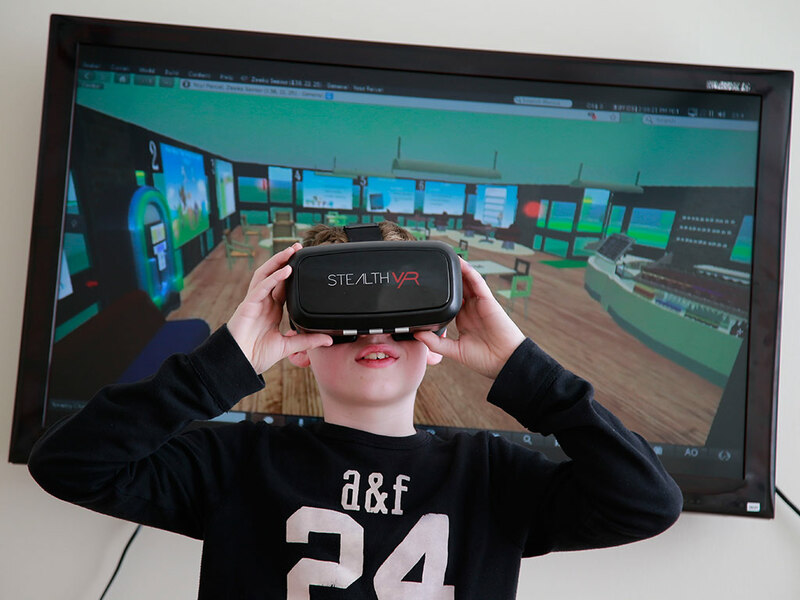 I read that you will be recruiting a group of teachers, parents and children, aged 10 to 12 years, through primary schools in Ireland, to participate in the virtual reality study. What kind of data are you hoping get? Virtual reality will be the next technology that becomes a fundamental part of our everyday lives, so we need to be prepared. What’s the next step for the project, where can people find out more? At the moment we have been contacting schools to take part. If people want to get in touch they will get the chance to be part of a truly pioneering research project.